Your appointment book can be used for client bookings, as well as for your own scheduling. You can use your appointment diary to book out time for meetings and lunch breaks. Let's get it set up! 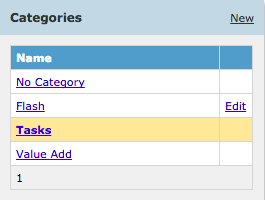 Go to the Admin page, select the Services tab and click Tasks in Categories. In the Services for Tasks section, go ahead and create a new Task by clicking New - this can be what ever you want, such as Team Meeting, Cleaning etc. Set up you Task Name and details on the right side panel. Great! Now you're ready to schedule your Tasks into your Appointment page. Adding Tasks into your Operator columns in your Appointment page. 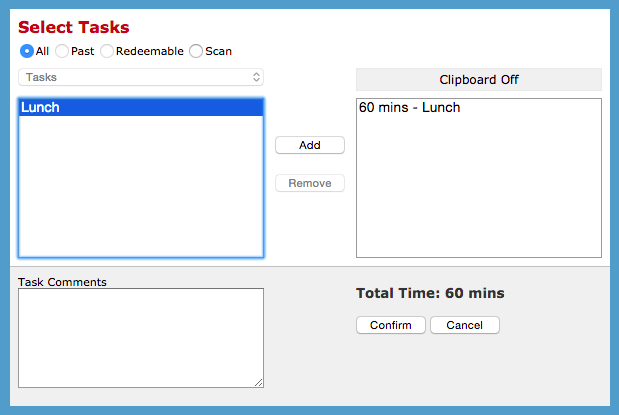 It's just like making an appointment; select the time slot first, choose the Add Task option on the right side panel. Select the Task from the Select Tasks window, and Confirm. 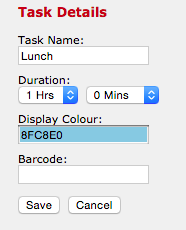 The Lunch task has been booked into the Appointments page. Note: Just like appointments, tasks can be moved around your appointment diary, lengthened and shortened. Tasks are as flexible as you are. If the task that you have added is one for holidays or time off, you can click the task name the actual task, and choose to 'Repeat' it. You can repeat it daily, weekly etc for as long as you need to.